William Henry Studio has ventured into money clips and they have hit a home run. William Henry combines the finest materials and workmanship into a every day carry (edc) accessory that any man will enjoy. 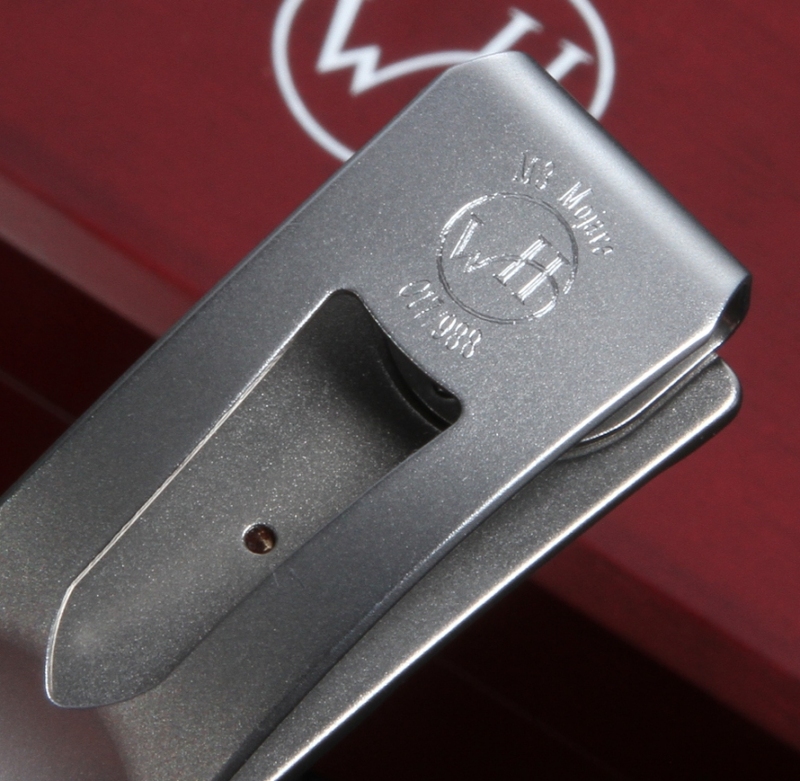 The aerospace grade titanium on this money clip is extremely light and strong. 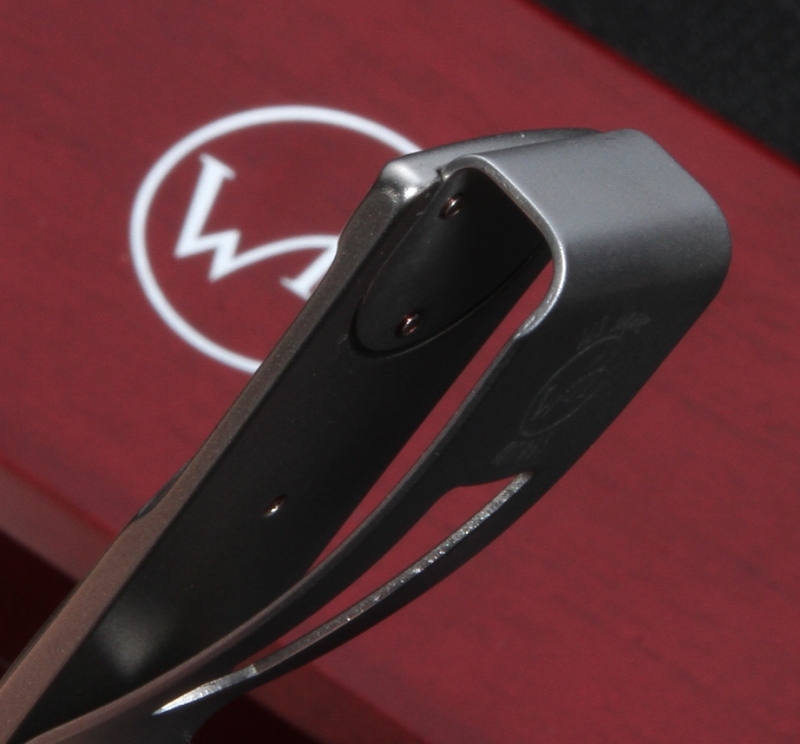 The clip is made of springy and durable stainless steel. 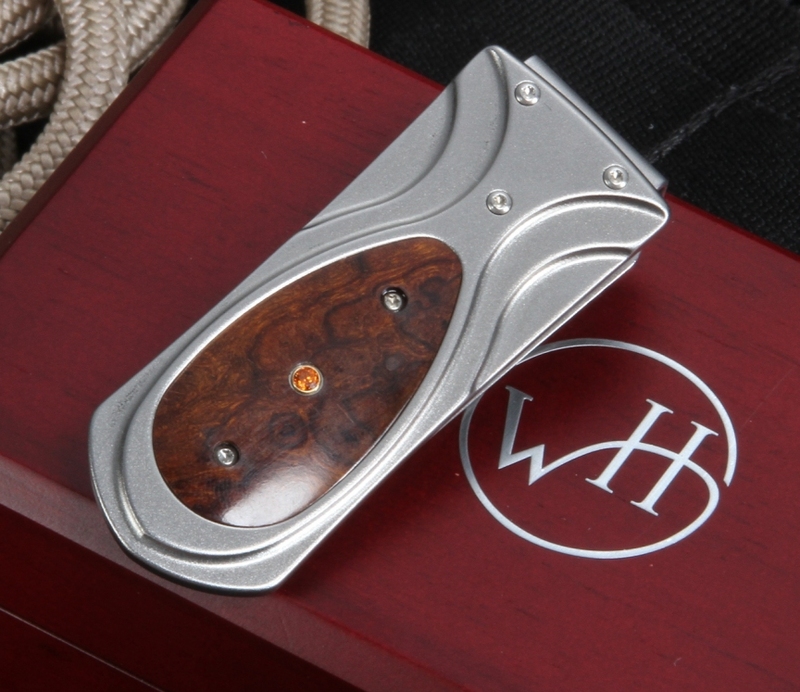 Attractive desert ironwood burl handle inlay that is completed with a spessartite. Perfect as a gift item or every day carry item. Combine the money clip with one of the William Henry Knives or William Henry Pens.